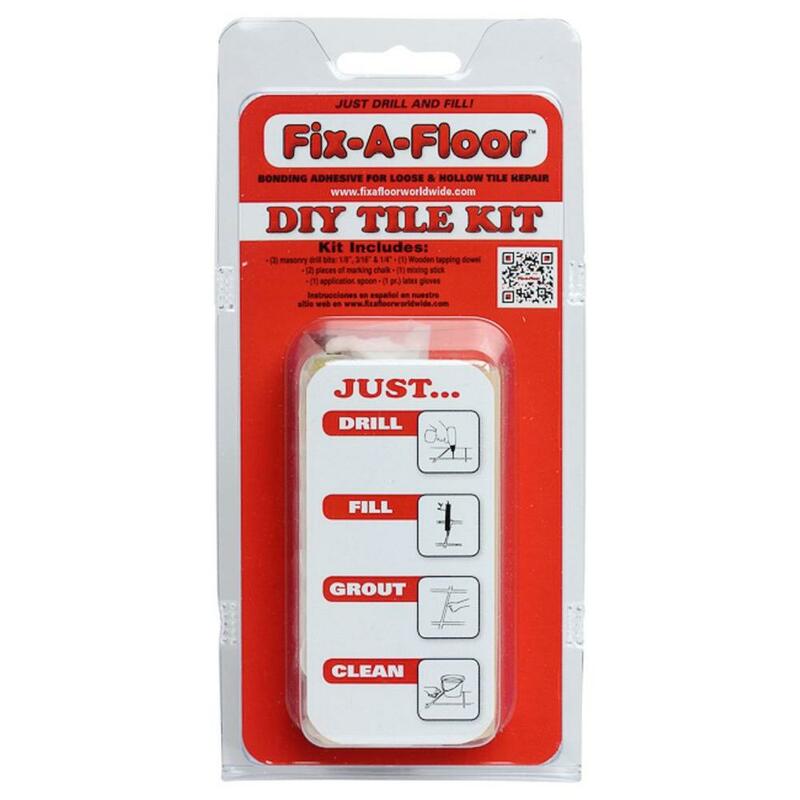 Fix-A-Floor Repair Adhesive – DIY Tile Accessory KitContains- – 3 masonry drill bits 1/8″, 3/16″ & 1/4″. – 1 wooden tapping dowel. – 2 pieces of marking chalk. 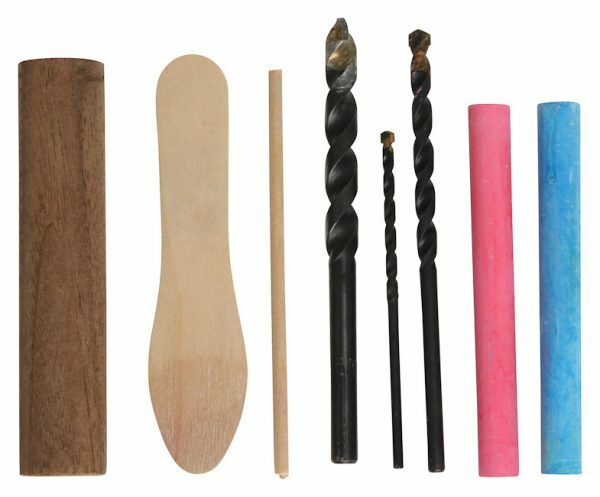 – 1 mixing stick. – 1 application spoon. – 1 pair latex gloves. For professional results.The Fix-A-Floor Tile repair DIY Kit works only with Fix-A-Floor bonding adhesive which is a customised formula created for the specific use of re-bonding loose or hollow tiles without the headache and mess or removing or replacing them.This kit has everything you need including 3 masonry drill bits 1/8″, 3/16″ & 1/4″ which covers a multitude of uses for different sized grout lines.